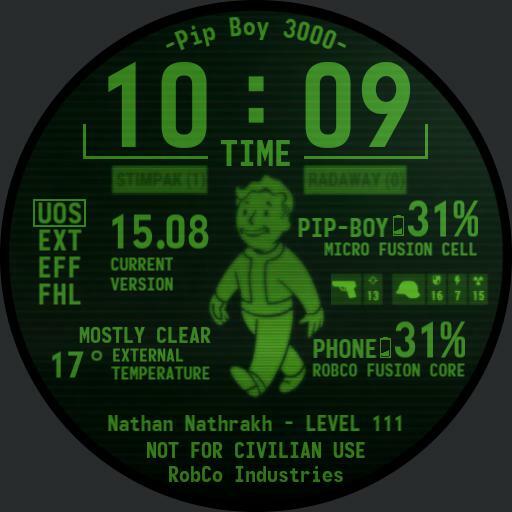 My take on a Pip-boy watch face from the Fallout games. Credit for the original design this watch face is based on, background and scanline effect goes to erith, https//facerepo.com/app/faces/details/pip-boy-m3600-v2-0-14b1ed968f7 . Please rate the original version.